Winter coats just got a hell of a lot more interesting. 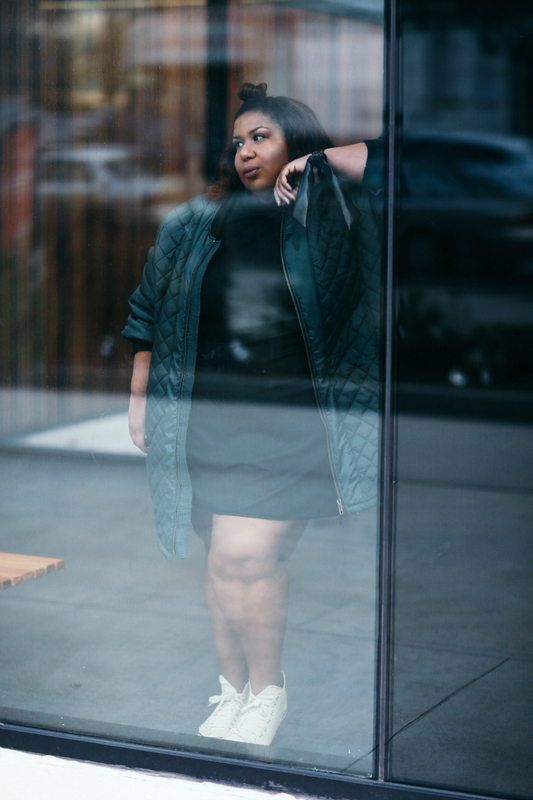 Bomber jacket, meet puffer coat (angels sing)! 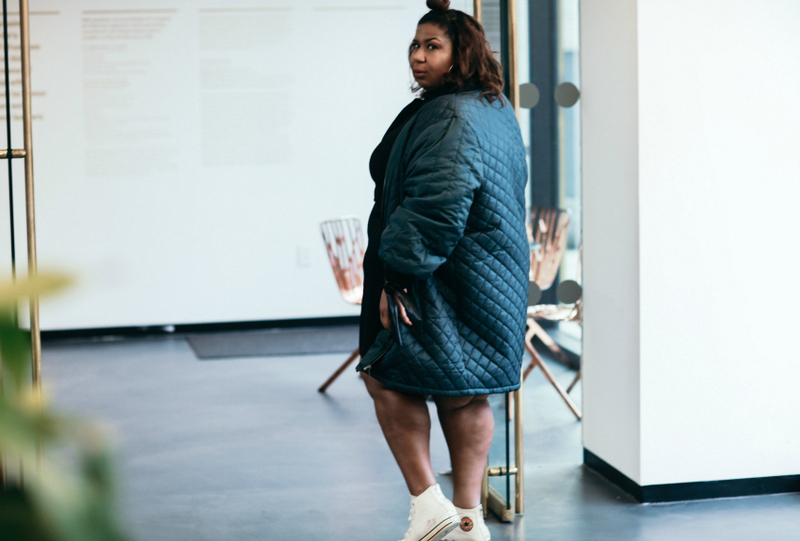 Puffer coats are simply unavoidable in NYC. I've tried. Short of wearing so many layers that you can quite bend your arms, wool coats don't do the same thing in below zero temps! Not to mention wet weather and ugh all of the gross things that come with not being smart enough to move to California. I love this coat because it's cool AF but also it's light enough to wear before the deep freeze but is also perfect for layers and is very warm! Did I mention it's cool? Sorry, obsessed.